Hicks Construction began in 1979 and has since evolved into a collaborative Seattle area design-build firm led by a trustworthy construction and design team. From blueprint to construction, we work alongside our clients to ensure that their dream renovation is seamlessly completed on time and on budget. Known for our highly skilled licensed architect, expert craftsmanship, top-notch construction crews, and master carpenters we offer our clients an all-inclusive approach to home renovation hinged upon old-fashioned business ethics. This full service method circumvents unwanted middlemen that can slow down a project and accrue unwanted costs. With clientele that is 99% referral, Hicks Construction prides itself on using long-standing relationships with respected subcontractors and suppliers to fit all the pieces of your project together. Our remarkable transformations are consciously designed and built to fit each individual’s specifications for function, style, and sustainability. We understand that open communication is key so we make it a priority to listen to your needs and build accordingly. With hundreds of jobs under our tool belts, we are proud to say that our biggest project is still ongoing as we continue to build upon the foundation of trust laid since 1979. We're proud to have been a member of the Master Builders Association since 1985. Seattle's Premier Custom Home Builder & Remodeler-Best of Houzz 2018! Extensive custom construction experience, Eakman Construction can lead your project from start to finish, with our high touch, customer service mindset. Stark Construction specializes in custom homes and remodels. Our superior products, unique designs, creativity, and commitment to our client’s needs set us apart in the custom construction business. At Quadrant Homes we strategically design every aspect of our business to focus on bringing our customers what they really want. A home that is designed to fit their lives. We don’t just build houses at Quadrant Homes. We establish neighborhoods, elevate experiences and create homes that are designed for the lives our customers want to live. Quality, personalized service, and your needs are important to us. We will go to great lengths to ensure you are completely happy with the construction of your new home. JayMarc Homes is a luxury home builder specializing in new home construction and custom homes in the Greater Seattle area including Bellevue and Mercer Island. While JayMarc is in the business of building luxury homes, our purpose is providing care through service. We dedicate our efforts not just to designing and building dream homes for families but also to connecting with others. Through our work and our involvement, we take care of our community: customers and their families, partners, subcontractors, employees and neighbors. As a team, we have the resolve to work tirelessly, doing what’s right because we believe in the transformational power of service. Our success comes from the ability to re-envision both the site and the dwelling to maximize their views and realize the properties full potential. For over 20 years, Westcott Homes has been building beautiful homes that make sense for today’s homeowners. We pay attention to your needs, aspirations and how you live, to design homes with maximum efficiency and luxurious designer touches. We believe in building homes and creating relationships that will stand the test of time. Our contractors are expert craftsmen, who abide by our high standards of excellence and utilize the finest quality materials, chosen for our unique Pacific Northwest climate. We’ve built thousands of homes in dozens of communities, and each has received our entire team’s full attention, from site selection to the finishing touches. We promise an enjoyable home buying experience, total satisfaction and a house you’ll love coming home to. Compare our homes and neighborhoods, and you’ll find you made the best choice in selecting a Westcott Home. James Hall and Associates, Inc.
With more than 25 years of experience in new construction & remodeling, our company approaches each project with the skill, knowledge & sensitivity to build the vision of your home into a reality. 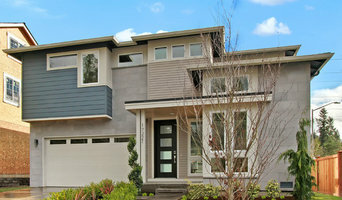 Urban Restoration specializes in residential home building and remodels in the Greater Eastside of Washington. Owner, Reg Willing, has been in the residential building industry for over 20 years, and has built the foundation of his company on integrity, trust, superior craftsmanship, and his personal accountability to his clients. Reg has put together a team of skilled professionals that strive to make the building or remodeling process enjoyable. He has spent years building strong relationships with local contractors, and takes pride in his ability to understand and interpret clients’ needs. The son of a boat builder, John F. Buchan has always prided himself on craftsmanship, artistry and perfection. The company he founded in 1961 reflects these ideals. Check out our portfolio! Our new homes in the Pacific Northwest include communities in the Greater Puget Sound Area. As a home builder in Snohomish County, we know what an investment a home is. It is not only the largest purchase you'll ever make but where you'll raise your family, where you'll develop new traditions and where you’ll come home to after a busy day. That is why we invest our homes with the very latest in energy efficiency, quality construction, experienced craftsmanship, and an eye for the needs of daily living. Sea Pac Homes are always built well within or above industry standards and after meticulously scrutinizing every floor plan to ensure that it meets our high standards of efficiency, functionality, and comfort for you and your needs. We will save you money long after your home is complete with our PUD energy-efficient standards to minimize the amount of gas and electricity your home uses and to maximize your savings on energy bills. We are proud to provide a variety of locations, square footage, styles, and prices in an effort to accommodate all our homebuyer's needs. You will also have the opportunity to personalize your new home to your own tastes and preferences. Sea Pac Homes, Inc. is committed to having the highest quality of customer service and promptly following up on any service questions that may arise. You can be confident in knowing that we will be there with you every step of the way. At RD Construction, We ensure that the building experience is as exciting and rewarding as the final product. We are dedicated to meeting all of your remodeling and construction needs. Cutuli Homes specializes in Custom Construction - New Homes, Additions, Remodels, Kitchen and Baths. General Contractor and manager, Jim Cutuli, builds each home to your individual specifications, needs and dreams. Cutuli Homes as built in the greater Seattle/King County metropolitan area and Snohomish County for since 1995, Contact us at (360)863-3611, CutuliHomes@comcast.net, and visit us on our website www.CutuliHomes.com Exquisite attention to fine detail, and an insistence on the finest materials, while at the same time building efficiently and economically define homes built by Cutuli Homes. A hands on builder, general contractor Jim Cutuli, is involved in all of the many details that go into fine home building. Because of his ability to listen to clients needs and then follow through to create their dreams, he has established many valued and long lasting friendships with his clients, as confirmed by their referrals to friends, and returning to him for their next new home. Cutuli Homes is a Certified Kirkland Green Builder and an EPA Certified Renovator, Sustainable, Home Builder, New Home, Addition, Remodel, Contractor. 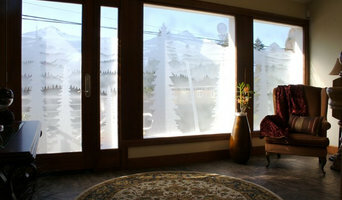 We have been remodeling and building custom homes in the Northwest for thirty years. From building legacy homes to completing energy efficient updates, we can do it all. Only a handful of elite homebuilders in the entire country have been recognized as America’s Best Builder, named a National Housing Quality Gold Award winner, and awarded Best in Class for Customer Satisfaction. Estes Builders is one of those select few. These prestigious awards have allowed us to develop a network of high achieving homebuilders to assist us in current and future improvements. We utilize all the best practices developed as a result of these awards in every home we build. We’ve been building & designing distinctive homes in western Washington since 1989. With 25+ years of experience, we guide every client through what can be a confusing, overwhelming adventure. Specializing in a less wasteful and more efficient approach to custom home construction. We are committed to providing our clients an open, enjoyable, and successful construction process, resulting in a beautiful, durable, sustainable project." We work side by side with you, your architects and designers from first napkin sketch all the way through to final completion. Our people and processes have been developed to ensure that your dreams and aspirations for the perfect home will be feasible, sustainable and within your budget. Steve Fradkin has over 30 years of construction industry experience since graduating from Stanford University in 1981 and is involved in the day to day construction of all of our projects. This commitment to your project is shared by a crew of professionals who have been delighting our customers for many years. This team of in-house experts performs much of the work on your project. Unique in our industry, the average company tenure of our crew is over nine years. Fradkin Fine Construction combines a strong emphasis on sustainable construction practices with an equally strong commitment to using the finest available materials and maintaining a positive, enjoyable working relationship with our clients and their design professionals. Focusing on craftsmanship and collaboration, every Fradkin Fine Construction project combines the creativity and imagination of our clients, the experience and expertise of architects and designers and the dedication, talent, and artistry of our accomplished crew members and expert sub-contractors. Sapphire Homes, Inc. is a locally owned and operated boutique construction company. We pride ourselves on building high quality homes that include many features normally viewed as upgrades. Sapphire Homes, Inc. is a locally owned and operated small business that builds 30-40 spec homes in Seattle and on the Eastside annually. We have been active in land development and new home construction in the King and Snohomish County building industry for the last 20 years. We have built over 135 homes across more than 20 communities in the last 5 years. We currently have a full pipeline of lots to keep bringing product to the market through 2018 and into 2019. We pride ourselves on building high quality homes that include many features normally viewed as upgrades. Our Eastside homes include covered outdoor living areas, wood-wrapped interior windows and mirrors, extensive hardwood, slab Quartz in kitchen/master bath/powder rooms, stainless steel appliances, iron balusters, 8 pound carpet pads, self-closing cabinets and melamine shelving in the master closet and pantry, and custom millwork cubbies in the mud room. We take a very hands on approach to building and visit each site several times per week. Owner Troy Schmeil has been an active member of Master Builders Association of King and Snohomish Counties, Building Industry Association of Washington and National Association of Home Builders including being both a board member and on the finance committee. Angela Schmeil obtained her Project Management Professional (PMP)® credential in 2004. Sapphire Homes focuses on New Home Construction. Cost factors as of January 2018. To achieve results similar to those in our portfolio, your "hard cost" construction budget (labor and materials) would realistically need to be in the $300-$400/sf range for the finished building only, exclusive of land, landscaping, and soft costs (plans, engineering, permits). Due to the hot construction market, lots are minimum 33% of home price & we are seeing continual increases in labor and materials. For over a decade, RW Anderson Homes has been constructing custom homes and luxury home renovations in the Seattle Metro area. 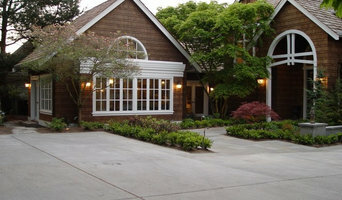 Since 1998, we have been building and remodeling some of the finest homes in the greater Seattle area. What started out as a career in homebuilding has evolved into a passion for superior design and building. Let me share this with you on your next project. A great building begins as a generalized concept and if the concept is good, the details fall into place effortlessly. Like music, a house can have variations on a central theme with each detail adding another level of beauty to the whole. At JayMarc Homes, we want you to love where you live. It's why we created extraordinary life-enhancing home designs & luxurious finishes and details that will make your journey with us simple & easy. 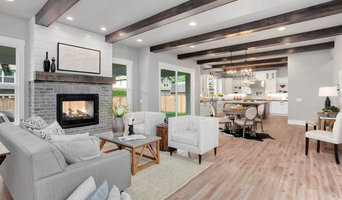 Town Construction and Development has established a solid reputation as a New Home builder in Seattle and the greater Puget Sound area, specializing in " High-end " Seattle residential new home construction, Seattle Home additions and Seattle Home remodeling. We Do All Phases Of Construction: Seattle New Home Construction, Seattle Home Remodeling, Bellevue Home and Business Restoration, Seattle Water Damage Restoration And Seattle Commercial Tenant Improvements. We Are Licensed, Bonded And Insured And Have An A+ BBB Rating. Let Town Construction & Development Be The First Call You Make For Any Seattle Area Construction Projects You Have Now Or In The Future. We Can Handle The Complete Project From Start To Finish. You Won't Need To Do Anything But Watch The Process And Enjoy The Finished Product. Experienced residential builder & developer from all price ranges of new single family homes to renovation of existing homes. We put your needs first. Lewis | Construction Group is a Seattle based General Contractor that goes beyond building and management to deliver quality and performance that not only build’s trust and confidence but impresses. Specializing in custom homes and all remodels to transforming commercial spaces, Lewis | Construction Group prides itself on building long lasting relationships to build a balance of style and skill. Since its inception in 2002, Carlisle Classic Homes has built a reputation for quality outcomes. We’ve completed more than 300 projects, many large, some small, but all significant. We believe that taking on a project means starting a relationship that will last well past the completion date. The “classic” in our name is more a nod to enduring quality than a definition of style. In fact, we work on an entire spectrum of architectural styles, from craftsman to contemporary, 70‘s rambler to mid-century modern. And while we are known for the kind of high quality of construction that people tend to associate with the past, we are fully versed in the latest building techniques and materials. What’s the most important step in building a new house from the ground up? Many people would say it’s choosing the right Bothell home builder. Constructing a new house is a huge and multifaceted undertaking, so it’s important to find custom home builders in Bothell, WA you can trust to bring your vision to life, as well as keep the process under control from start to finish. Although a construction job is never without surprises and challenges, a Bothell, WA home builder who’s a good fit for your specific project will make these far easier to handle. For Bothell residential home builders who also act as developers, the job starts well before the first nail is driven. They perform local market research to determine whether the prospective homesites make sense in the Bothell, WA market, as well as survey the land on which the house will be built to make sure it is suitable for construction. Custom builders also obtain the necessary permits. 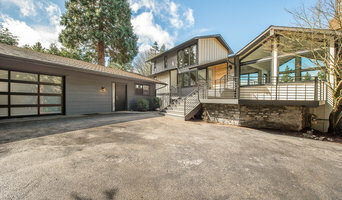 A good custom home builder in Bothell, WA has skills that go far beyond construction — he or she must supervise subcontractors and artisans; keep tabs on local zoning regulations, building codes and other legalities; inspect work for problems along the way; and perform dozens of other roles that are essential in building a quality house. Here are some related professionals and vendors to complement the work of home builders: Interior Designers & Decorators, Landscape Architects & Landscape Designers, Architects & Building Designers, Kitchen & Bath Designers, Specialty Contractors. House builders are responsible for ensuring that the home-building project sticks as closely as possible to the specified timetable, particularly in the event of change orders. Custom and luxury home builders in Bothell, WA also need interpersonal skills to deal with clients of all types, soothe frazzled nerves, negotiate conflicts and resolve problems. Find custom home builders in Bothell, WA on Houzz. Narrow your search in the Professionals section of the website to Bothell, WA home builders. You can also look through Bothell, WA photos to find a house you like, then contact the builder who worked on it.